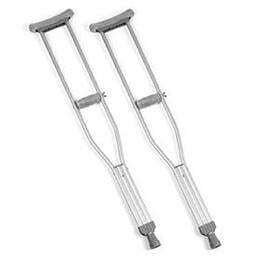 The Invacare Adult Quick-Change Crutch is easy to adjust and provides comfortable support. The crutches fit patients ranging in height from 5'2"-5'10". They also support users up to 350lbs.